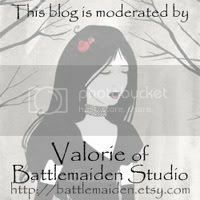 Battlemaiden Studio: I'm alive! New painting to share. Really I am. I've just been running ragged while getting ready for A-Kon. As proof that I'm still up and moving, here's my latest painting! 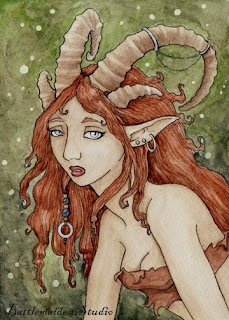 She was inspired by the beautiful Ibex we saw on my Mother's Day trip to the Ft. Worth Zoo. I've got less than I week before I need to start packing up for A-kon, and several projects I still need to wrap up. In the meantime, I'm going to hold off from updating my Etsy page with new prints until I have a breather after the show. I'll definately let everyone know when I have new things available!